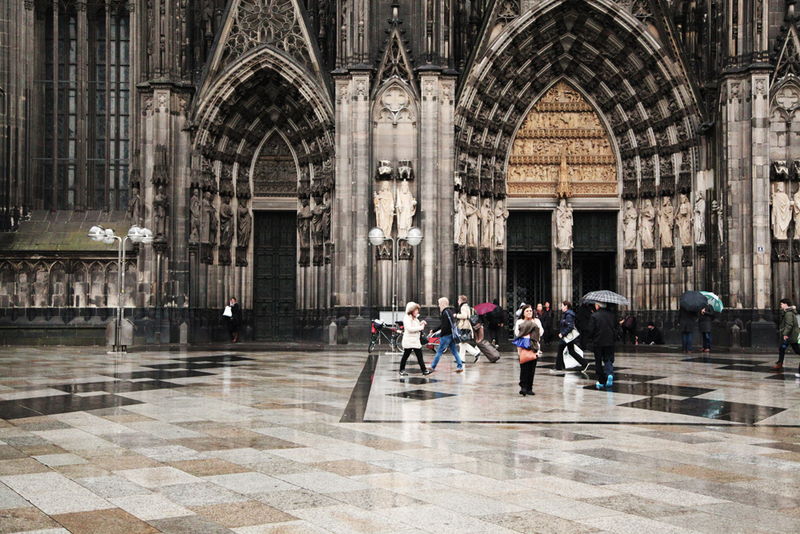 Cologne is most famous for the massive cathedral (Kolner Dom), followed by various Romanic churches, the Kolsch (Cologne beer), and scattered art scenes around the city. It is only two hours by train from where I live in Utrecht, so I decided to do a little exploring during free time in the week. After stepping out of the Koln HBF (Cologne Central Station), you will be immediately welcomed by the cathedral that sits directly front door of the station. Take a tour inside or climb up the steps to enjoy a view of the Rhein. It’s probably a good idea to drop off luggage first though. 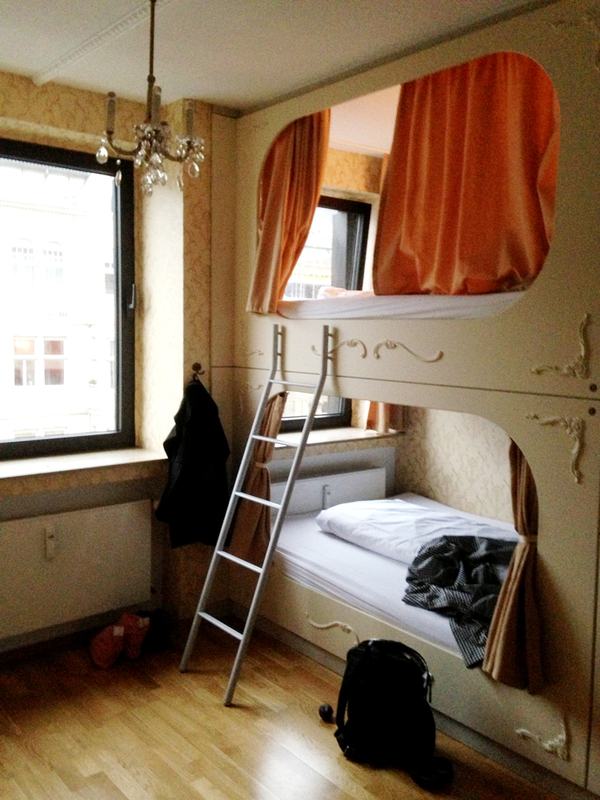 I chose to stay at a hostel called Die Wohngemeinschaft, located in the hip Belgian Quarter. For any single travelers, backpackers, this hostel is a definite stay! It is by far the best hostel I have stayed at with its great location, friendly staff, and large private comfortable beds in shared dorms. 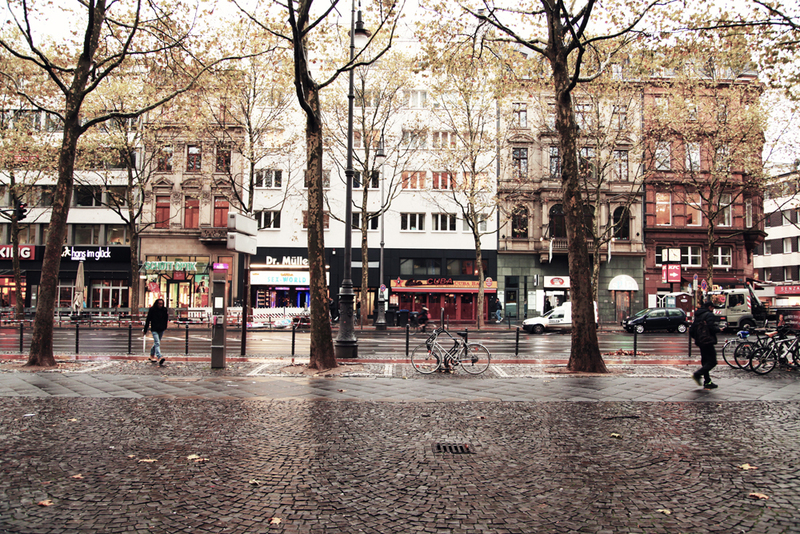 The Belgian Quarter in Cologne is known for its hipster cafes and unique clothing stores. You will be surprised by little hidden boutiques as you walk in this neighborhood. 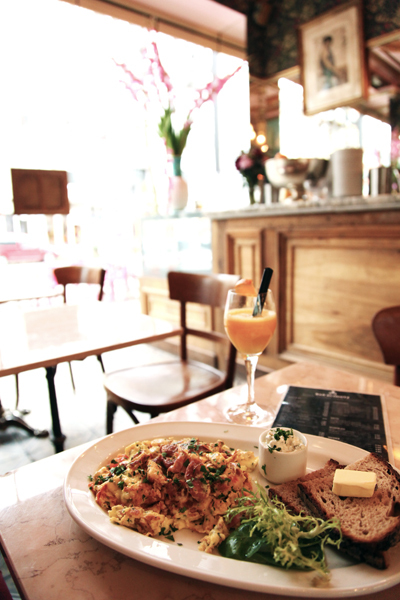 I had breakfast at Salon Schmitz in the Belgian Quarter. The decor is so lovely with great food! The walking distance between the Belgian Quarter and the city center is around 20 minutes. I definitely recommend walking instead of taking the subway for the city is filled with stores and restaurants that make the trip very interesting. 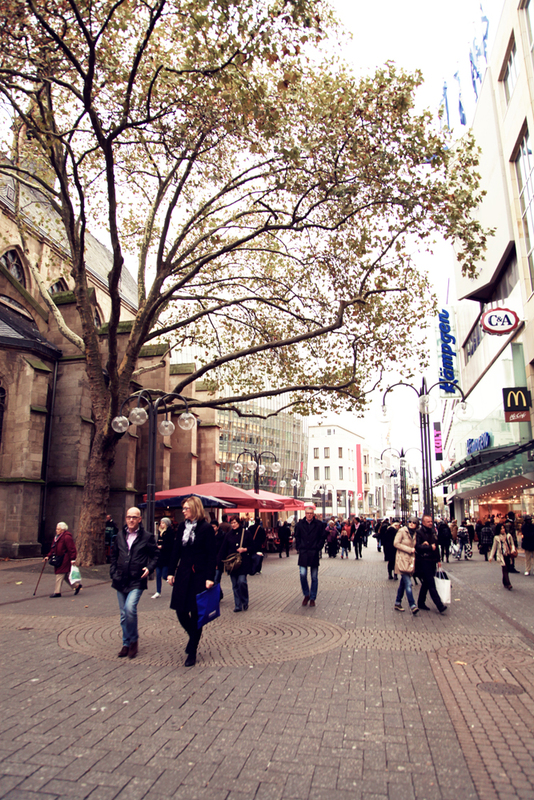 The main shopping streets are Schildergasse and Hohe Strabe. Here you will see chain labels and German department stores such as the Kaukhof. After shopping make your way back to the Dom, which is surrounded by major attractions such as Museum Ludwig, Kolner Philharmonic, the Wallraf-Richartz Museum. Visit the Museum Ludwig for a large modern art location, the Wallraf-Richartz Museum for medieval art. For a more fun experience, check out the Farina Haus Scent museum (the birthplace of Eau de Cologne!) or the Chocolate museum for indulgence. 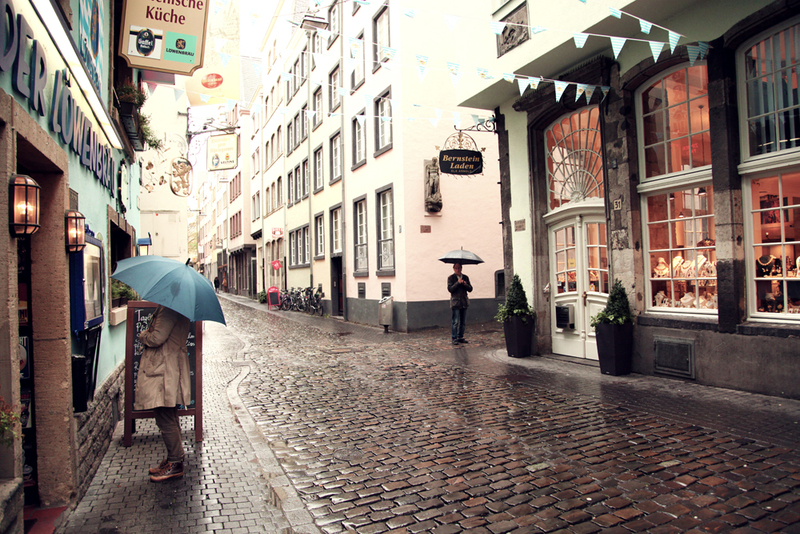 After visiting museums, walk along the Rhein in the Altstadt (Old City), where you will find colorful historic buildings filled with restaurants and bars. For dinner, I recommend dining at Paffgen for traditional bar food with great pork knuckle and try the traditional Cologne beer (Kolsch). They are served in slender 0.2L glasses that makes you keep wanting more! 6:30 Dinner at Paffgen. 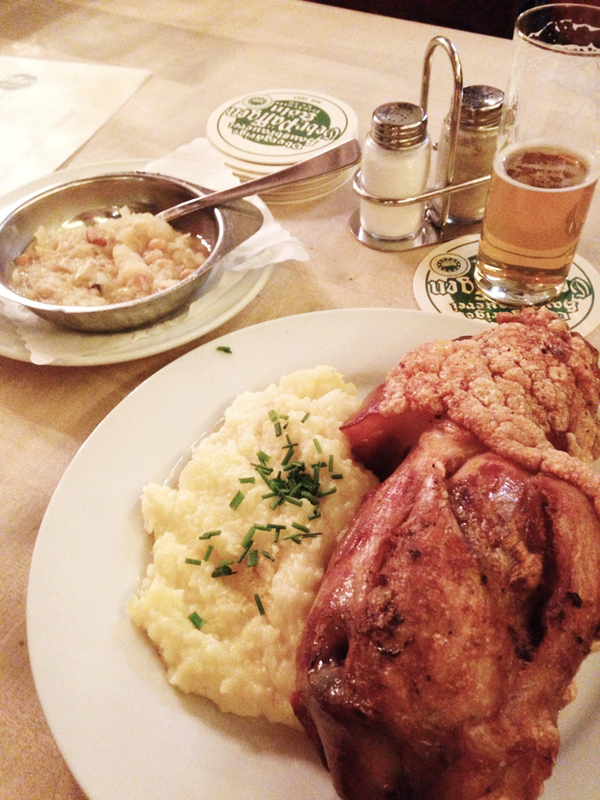 Try the Pork Knuckle with saurkraut and mashed potatoes for around 13 euros. 8:00 Go shopping in the local grocery store (Rewe) for some snacks appealing to you. 4:00 Do some last minute shopping at Dm (the local drugstore). Buy some German cosmetics such as Alverde or Florena, also stock up on some chocolate and tea bags to take home! 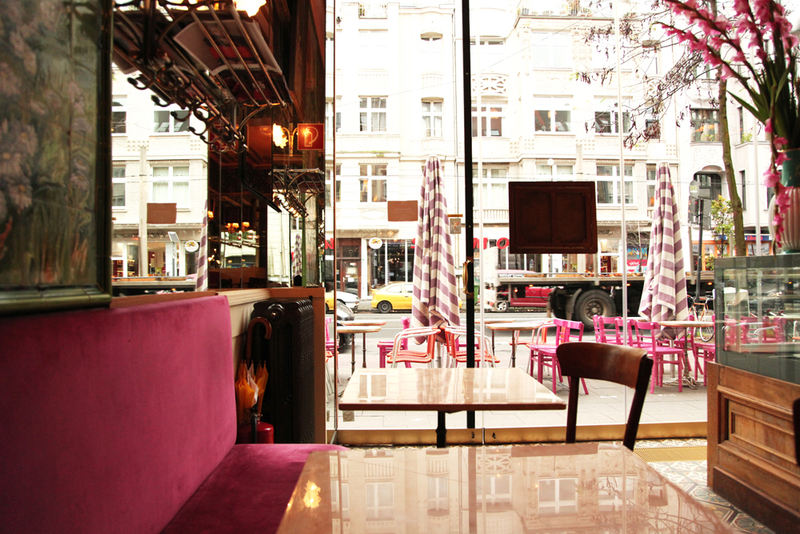 This entry was posted in 48 Hours: Travel Like a Local, Do, Explore, Taste and tagged cafe, cologne, dom, germany, travel. Wow this sounds like an awesome 48-hr trip. + Great photos! Love love love. P. S. Interesting beds… Liking the light there as well as the curtains. :-) also I want the pork knuckle.